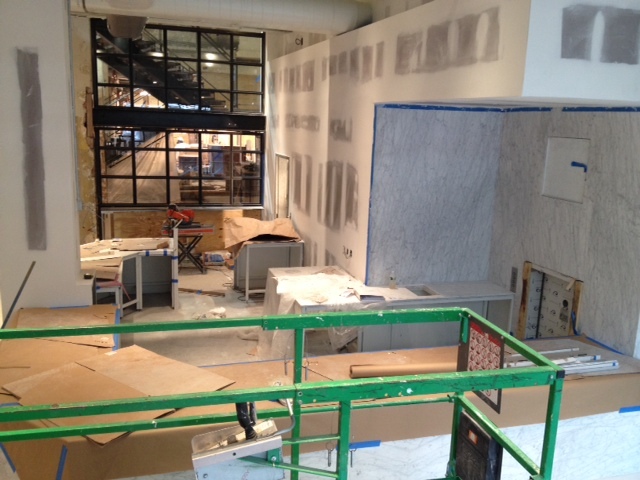 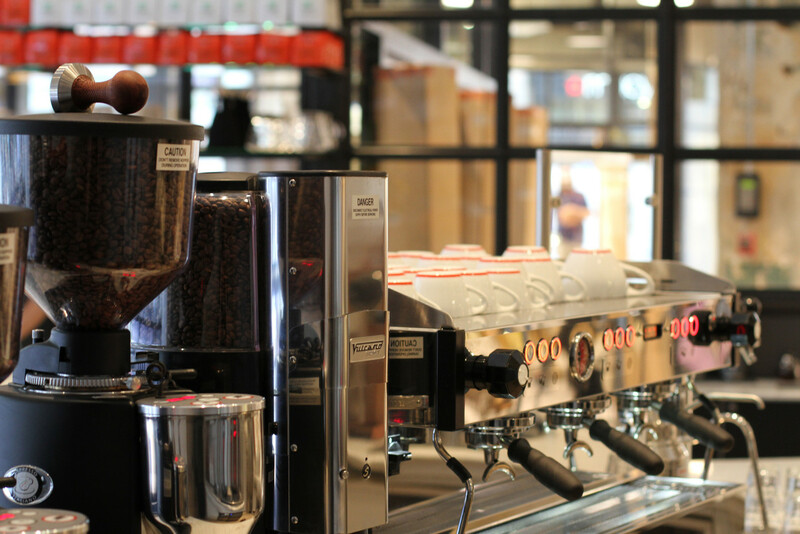 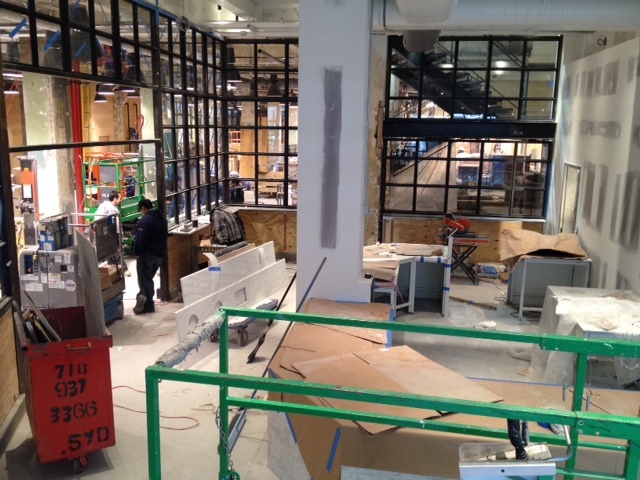 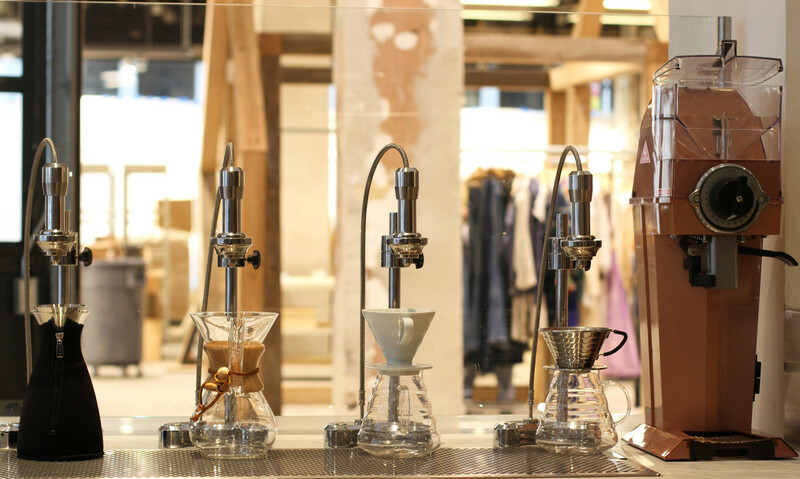 The 800sf coffee bar is located inside a new Urban Outfitters in NYC’s Herald Square. 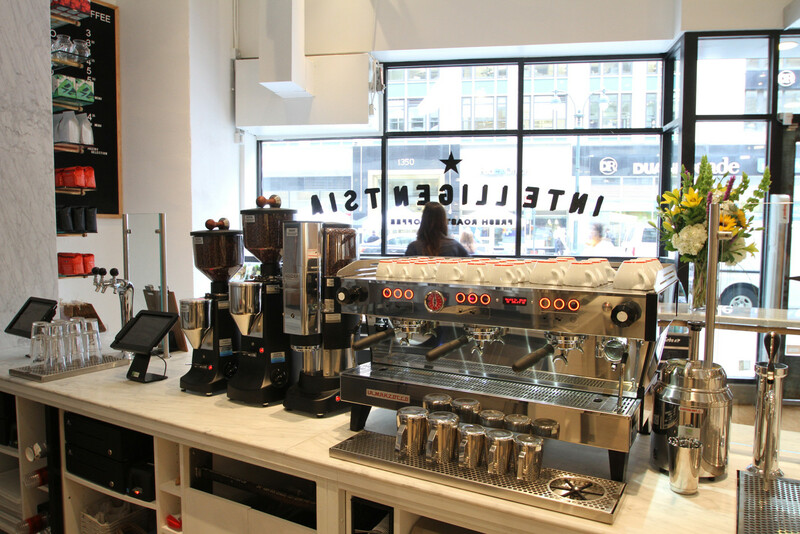 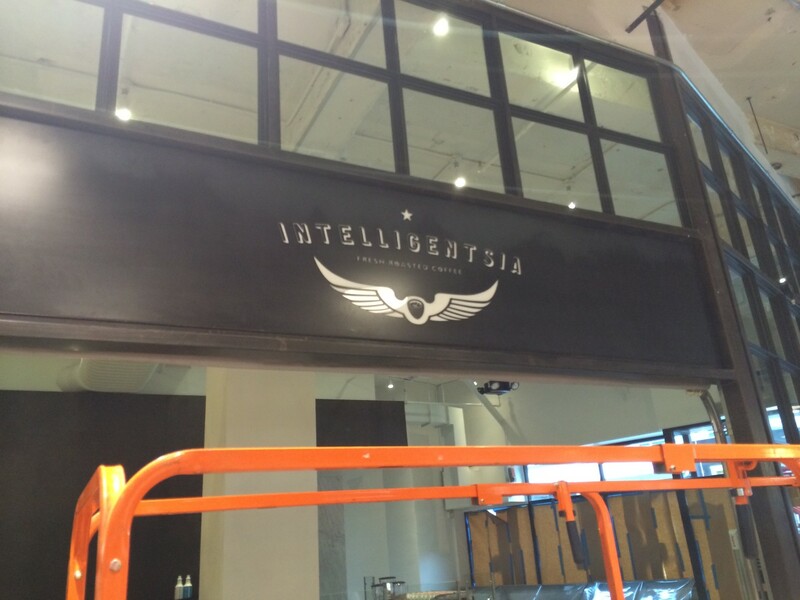 This location is Intelligentsia’s first cafe that integrates a food program with shopping experience. 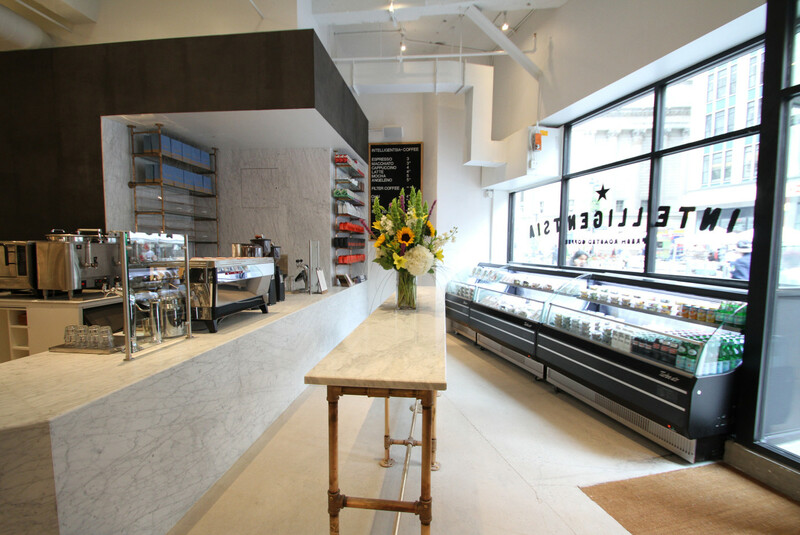 With its own street-facing entrance on Broadway, an interior garage door opens up to allow customers to flow freely between retail space and coffee shop. 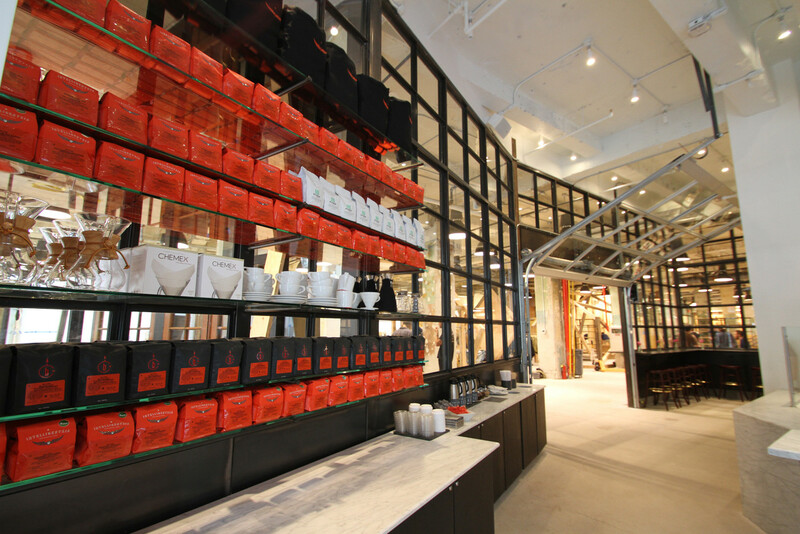 The design was developed as a contemporary take on the decadent design of early 20th century department stores. 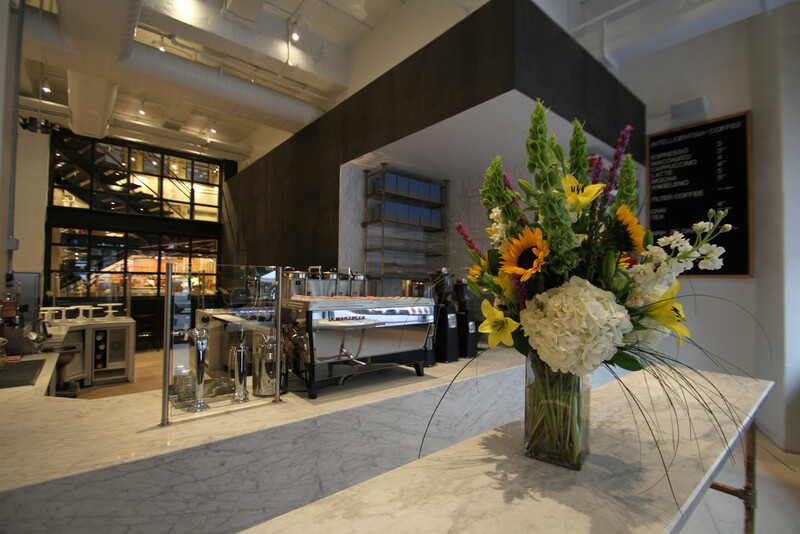 Borrowing the material language from the buildings surrounding Herald Square, which housed many of these department stores, the large marble standing bar and brass and leather bar stools are a contemporary application of those materials.